Assassin’s Creed: Liberation on the Vita was surprisingly good, managing to fit most of a fully-featured Assassin’s Creed game onto the handheld system with few issues. It was, for all intents and purposes, a full entry in the franchise. If you don’t have a Vita or didn’t get a chance to play the game the first time around, your chance is coming with the game’s update on PS3. A surprising amount of work has apparently gone into the port, with developer Ubisoft Sofia reworking many of the missions to be a better experience on the bigger console. In addition, 15 missions specific to the female protagonist of Liberation have been added. It goes without saying that the graphics are receiving a massive overhaul. 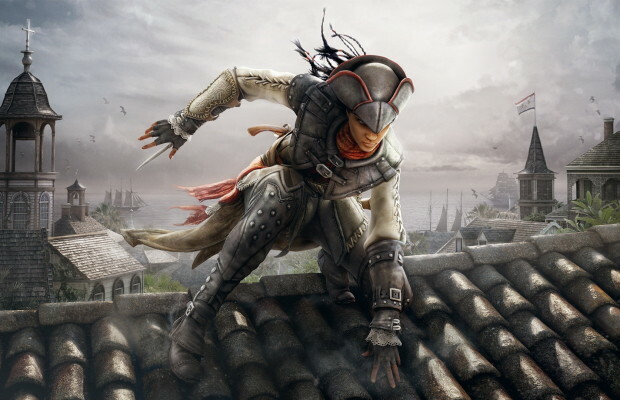 Assassin’s Creed: Liberation features Aveline, a woman of mixed French and African heritage recruited by the Assassins to reclaim New Orleans from the vicious Templars. The game will release on PSN January 14 for $19.99. Did you enjoy the Vita version or are you going in fresh with the handheld’s older brother? Tell us in the comments or find us on Facebook and Twitter!